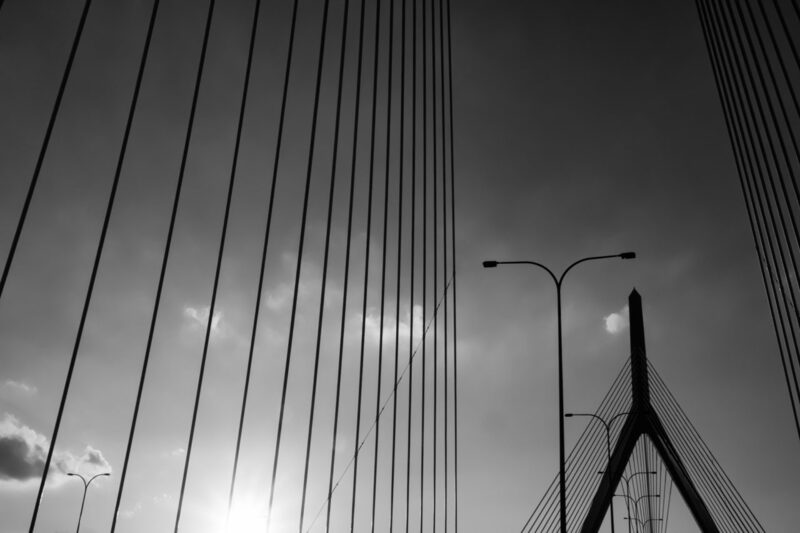 Whenever I drive over the Zakim Bridge as I am leaving Boston I think, “this view might make a good image.” The problem is, I am usually driving, so it would be impossible to grab an image. Or would it? With my camera sitting beside me in the car as I crossed the bridge, I pressed it agains the windshield and fired off a few frames. All without taking my eyes off the road. Much.